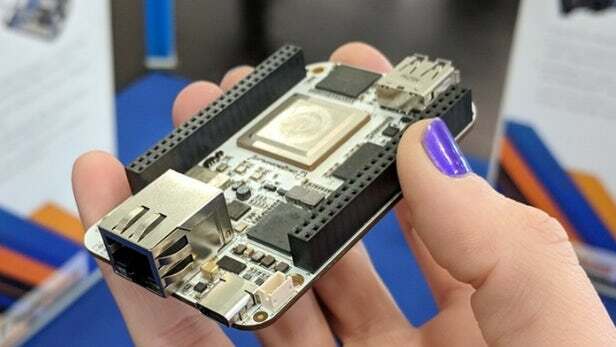 We have seen a series of Linux-based SBCs the last few months, like the next-gen BeagleBone AI, maker boards from Google and Nvidia, to mention just a few. The SBC market is booming right now, infact a recent Global Market Insights report projects that the SBC market will grow from $600 million in 2018 to $1 billion by 2025. The new trend of IoT and AI-enabled edge computing, gives rise to new boards being rolled off. Let’s see the top 10 boards to look forward for 2019. This is the latest of Aaeon’s line of community-backed SBCs which taps Intel’s 8th Gen Whiskey Lake-U CPUs, and maintains 15W TDP with performance boosted up to quad-core, dual threaded configurations. The SBC enables up to 16GB DDR4, 128GB eMMC and offers 4K displays via HDMI, DisplayPort, and eDP. It also features SATA, 2x GbE, 4x USB 3.0, and 40-pin “HAT” and 100-pin GPIO add-on board connectors. Mini-PCIe and dual M.2 slots are available. The dual M 2 slots supports wireless modems and more SATA options, they also support Aaeon’s new AI Core X modules, that offers Intel’s latest Movidius Myriad X VPUs for 1TOPS neural processing acceleration. Nvidia has announced a low-end Jetson Nano compute module which is a smaller (70 x 45mm) version of the old Jetson TX1. It enables 4x Cortex-A57 cores and has a lower-end 128-core Maxwell GPU. The module offers 2GB and 8GB of RAM and flash. It supports 4K video and the GPU offers similar CUDA-X deep learning. It costs $99, supported by a forum and other community resources. It has 40-pin GPIO, an M.2 slot, GbE with Power-over-Ethernet, HDMI 2.0 and eDP links, and 4x USB 3.0 ports. 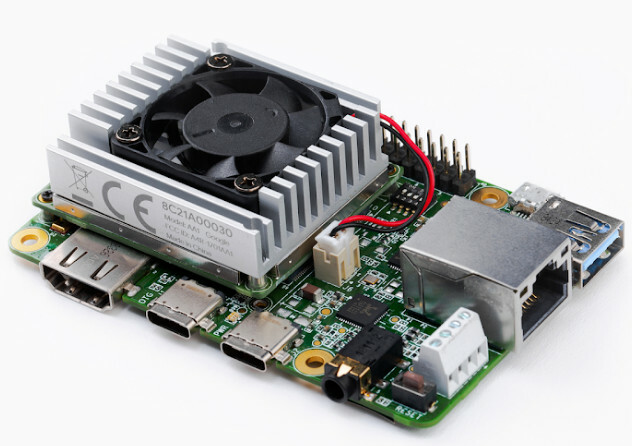 Earlier this month, Google announced its first Linux maker board which features an NXP i.MX8M and Google’s Edge TPU AI chip. The Raspberry Pi-like Coral Dev Board was accompanied by an Edge TPU-enabled Coral USB Accelerator USB stick, then will be followed by an Edge TPU based Coral PCIe Accelerator and a Coral SOM compute module. The devices come with schematics, community resources, and other open-spec resources. 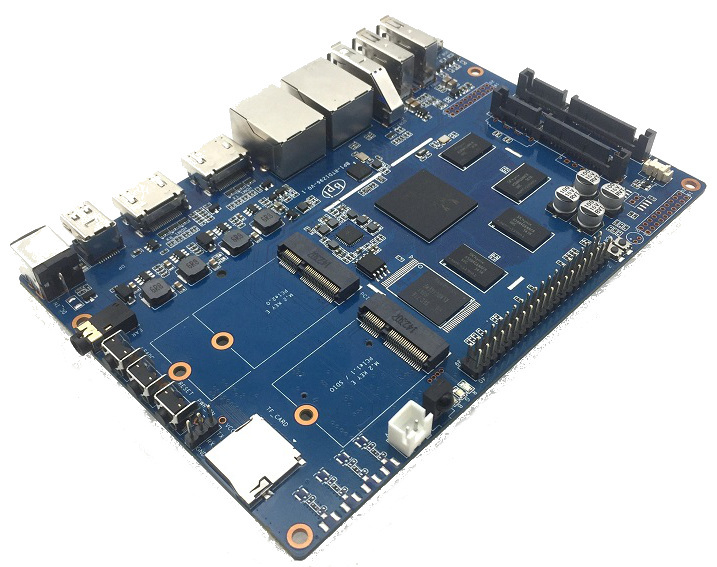 The Board features the Edge TPU chip with NXP’s quad-core, 1.5GHz Cortex-A53 i.MX8M, a 3D Vivante GPU/VPU and a Cortex-M4 MCU. 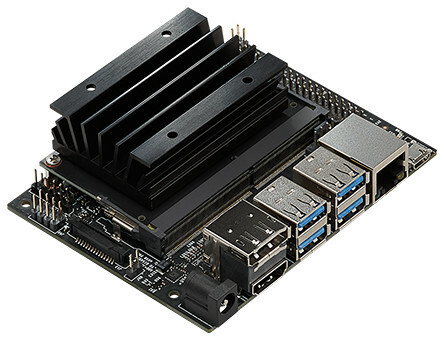 The Board offers 4K-ready GbE, HDMI 2.0a, 4-lane MIPI-DSI and CSI, and USB 3.0 host and Type-C ports. 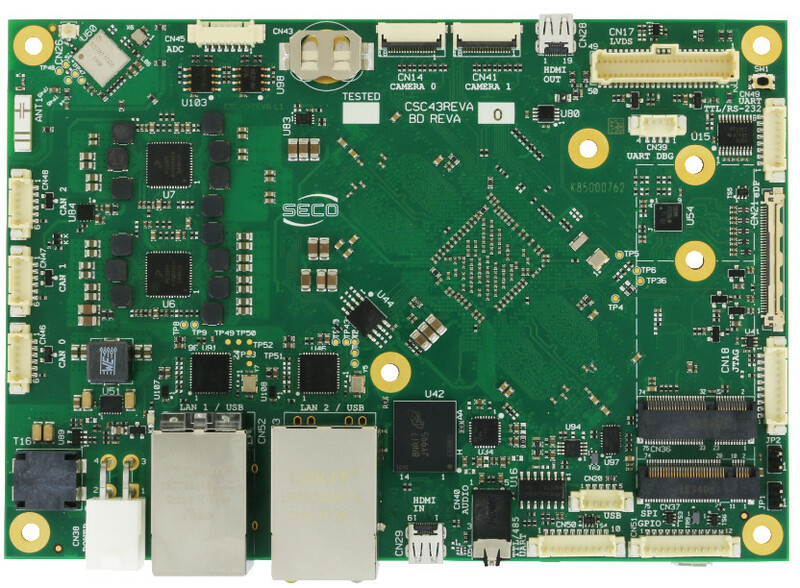 Seco’s SBC-C43 board is the pioneer SBC based on NXP’s high-end, up to hexa-core i.MX8. The SBC supports the i.MX8 QuadMax with 2x Cortex-A72 cores and 4x Cortex-A53 cores, the QuadPlus has a single Cortex-A72 and 4x -A53, and the Quad has no -A72 cores and 4x -A53. The SBC-C43 enables up to 8GB DDR4 and 32GB eMMC. It features dual GbE, HDMI 2.0a in and out ports, WiFi/Bluetooth, and a series of industrial interfaces. Its dual M.2 slots enable SATA, wireless, and more. 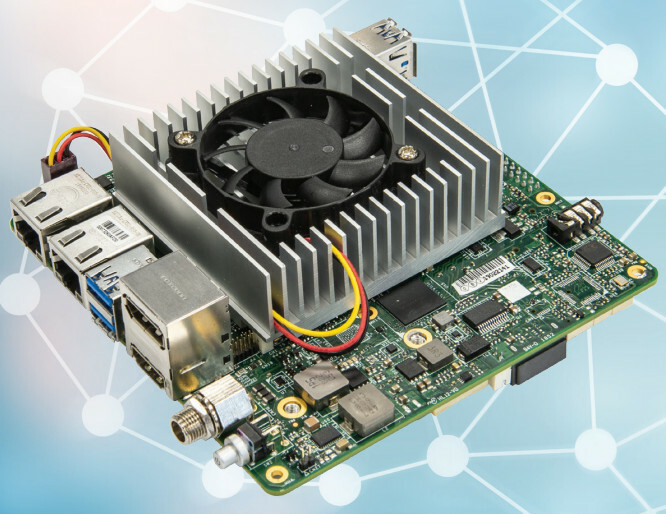 The open-spec Nitrogen8M_Mini from Boundary Device is the first SBC to feature NXP’s new i.MX8M Mini SoC. The Mini utilizes a more advanced 14LPC FinFET process than the i.MX8M, which results in lower power consumption and higher clock rates for both the 4x Cortex-A53 (1.5GHz to 2GHz) and Cortex-M4 (400MHz) cores. With Linux and Android support, the Nitrogen8M_Mini ships with 2GB to 4GB LPDDR4 RAM and 8GB to 128GB eMMC. Its MIPI-DSI and -CSI interfaces support optional touchscreens and cameras, respectively. It offers a GbE port, and PoE and WiFi/BT are optional. It also features 3x USB ports, one or two PCIe slots, and optional -40 to 85°C support. It is available for $135, and shipping due this spring. Pine64’s latest hacker board, is part of an open source product, which also includes a laptop, tablet, and phone. 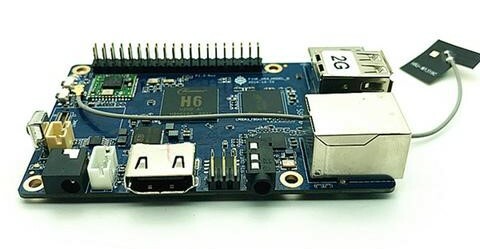 Recently going on sale for $39 (2GB) or $49 (3GB), the Raspberry Pi semi-clone composes of the high-end, but low-cost Allwinner H64. The quad -A53 SoC offers 4K video with HDR support. The Model B enables up to 128GB eMMC storage, WiFi/BT, and a GbE port. 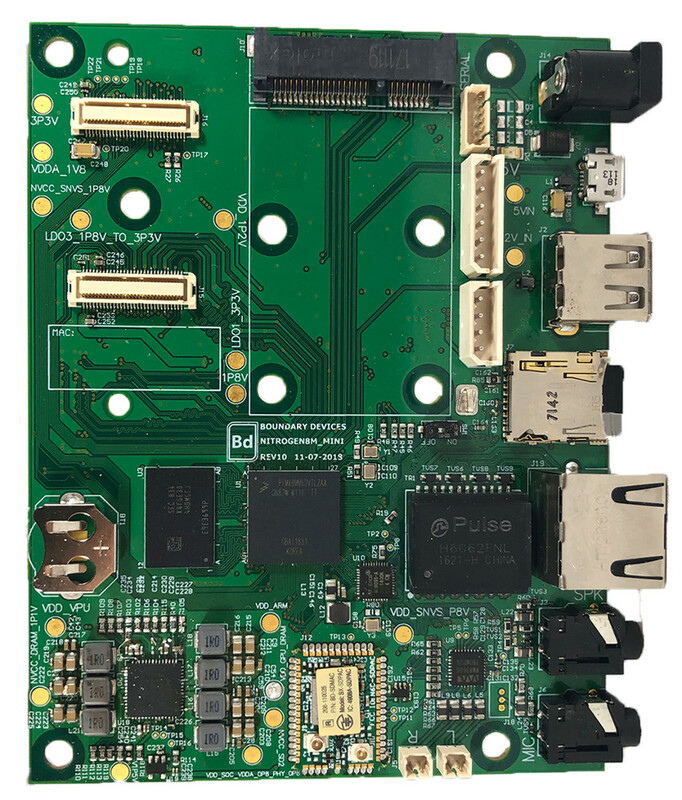 I/O features includes 2x USB 2.0 and single USB 3.0 and HDMI 2.0a ports plus SPDIF audio and an RPi-like 40-pin connector. 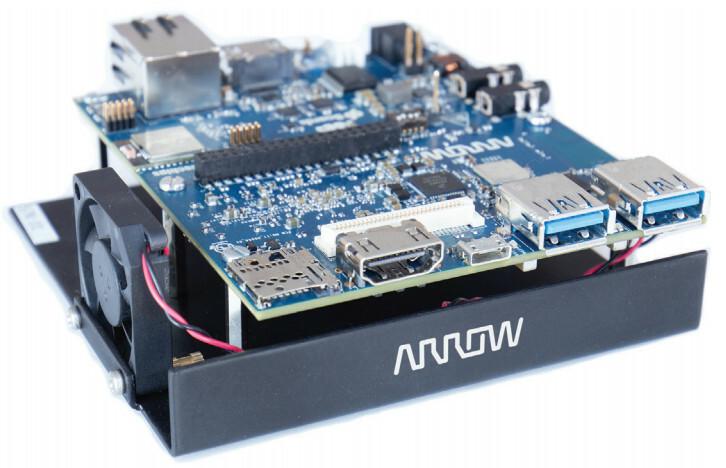 Arrow announced the i.MX8X based SBC earlier this month along side a similarly 96Boards CE Extended format, i.MX8M based Thor96 SBC. The AI-ML Board seems to be the first SBC that features the low-power i.MX8X, which enables up to 4x 64-bit, 1.2GHz Cortex-A35 cores, a 4-shader, 4K-ready Vivante GPU/VPU, a Cortex-M4F chip, and a Tensilica HiFi 4 DSP. 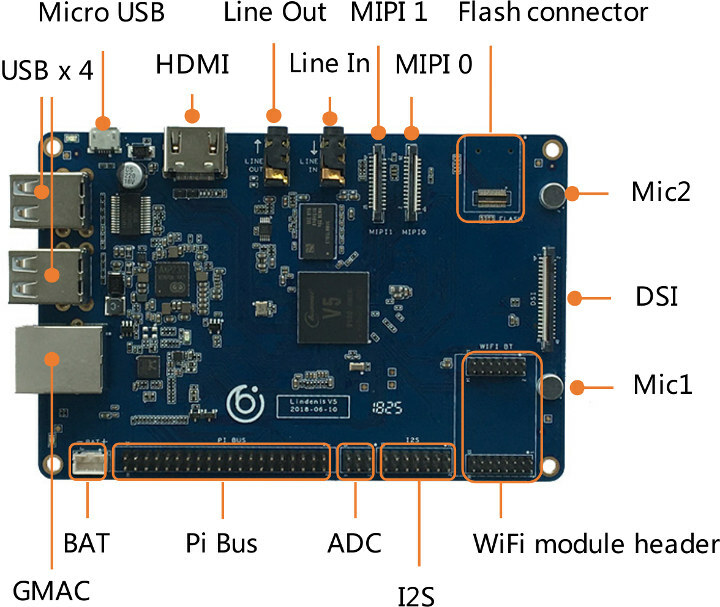 The board offers 2GB LPDDR4, Ethernet, WiFi/BT, and a pair each of MIPI-DSI and USB 3.0 ports. It is expected to launch by June 1. The AI is enabled by dual TI C66x DSPs and four embedded-vision-engine (EVE) neural processing cores. BeagleBoard.org claims that calculations for computer-vision models using EVE run at 8x times the performance per watt compared to the similar, but EVE-less, AM5728. The EVE and DSP chips are supported through a TIDL machine learning OpenCL API and pre-installed tools. 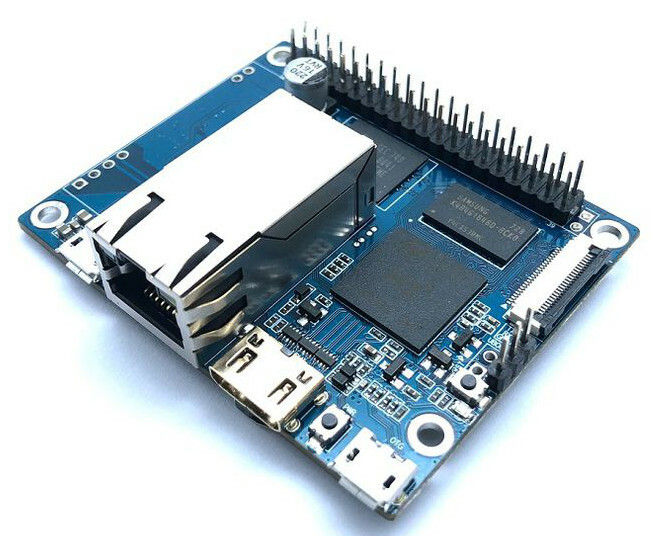 The AI is based closely on the BeagleBone Black and offers backward header, mechanical, and software compatibility. It offers 1GB RAM and 16GB eMMC storage. It is due to go on sale for $100 in April. The 10nm, octa-core, “Kryo” based Snapdragon 845 is one of the most powerful Arm SoCs available. It features an advanced Adreno 630 GPU with “eXtended Reality” (XR) VR technology and a Hexagon 685 DSP with a third-gen Neural Processing Engine (NPE) for AI applications. 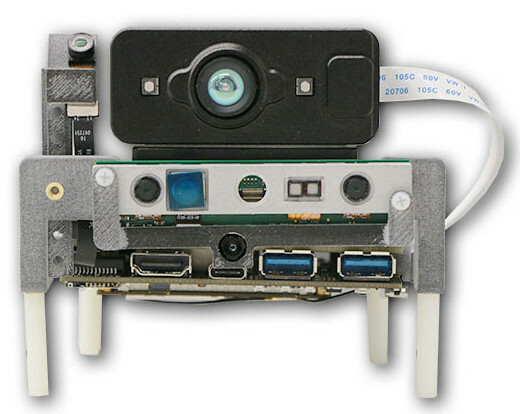 The $449 and up kit features the board’s expansion connectors, which are pre-stocked with Qualcomm cellular and robotics camera mezzanines. The kit also includes standard 4K video and tracking cameras, with optional Time-of-Flight (ToF) and stereo SLM camera depth cameras. The SBC runs Linux with ROS (Robot Operating System). 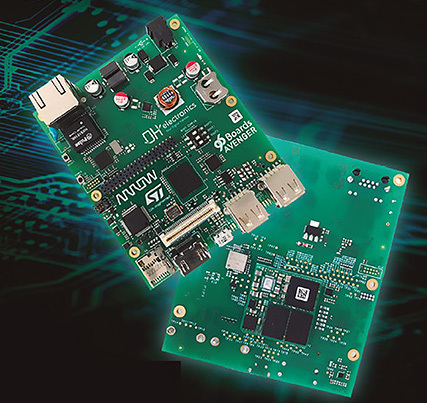 The Avenger96 is a 96Boards CE Extended SBC designed for low-power IoT applications. However, the SBC features a more power-efficient, but slower SoC (ST’s recently announced STM32MP153). The Avenger96 has dual, 650MHz Cortex-A7 cores, a Cortex-M4, and a Vivante 3D GPU. The board features an Avenger96 module with the STM32MP157 SoC and offers 1GB of DDR3L, 2MB SPI flash, and a power management IC. The Avenger96 SBC is equipped with GbE, HDMI, micro-USB OTG, and dual USB 2.0 host ports. Available also is a microSD slot, and 40- and 60-pin GPIO connectors. The board is expected to go on sale in April.